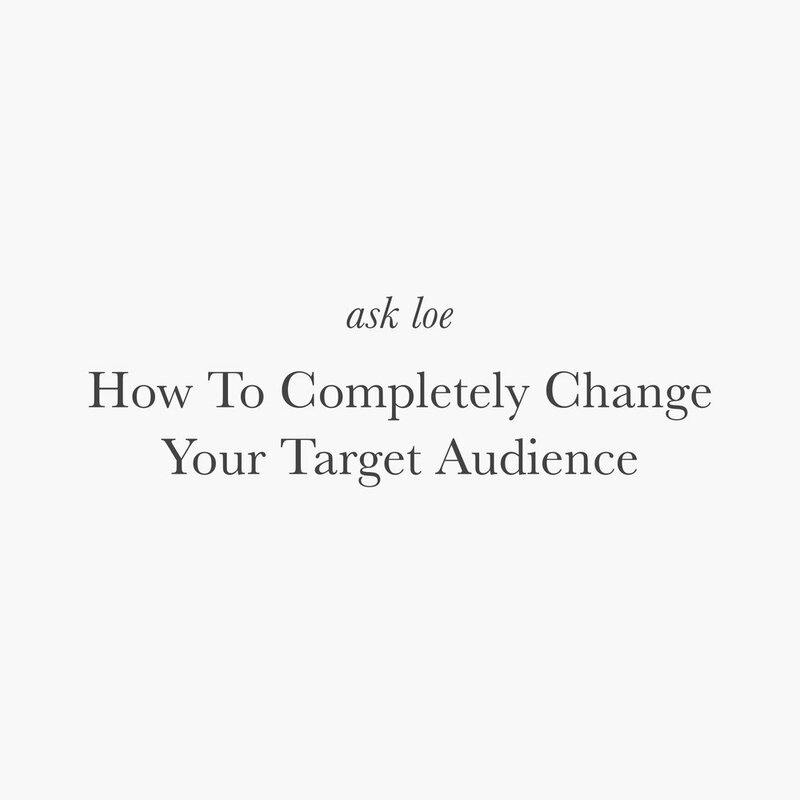 For the first episode in our new Ask LOE series, we’re going through exactly how to change your target audience by repositioning your messaging, content and the people that you currently work with! Have a business, lifestyle or wellness question that you want to ask? Submit your questions here for a chance for it to be featured on the show! First, start with your messaging. Everything from your site to your social media sites should clearly state who you are, who you help and how you help them. While I understand money is needed, taking on clients who are not in your target audience can stop you from attracting those that you truly want to work with. From testimonials to word of mouth, it can confuse your true audience. Ready to shift the type of clients you’ve been working with? Here’s how to successfully completely change your target audience!